We will share the lore of the, focusing of a few plants that can be found in your garden, back yard and the nearby environment, and cultivating a relationship with the plants in order to benefit from their healing properties. 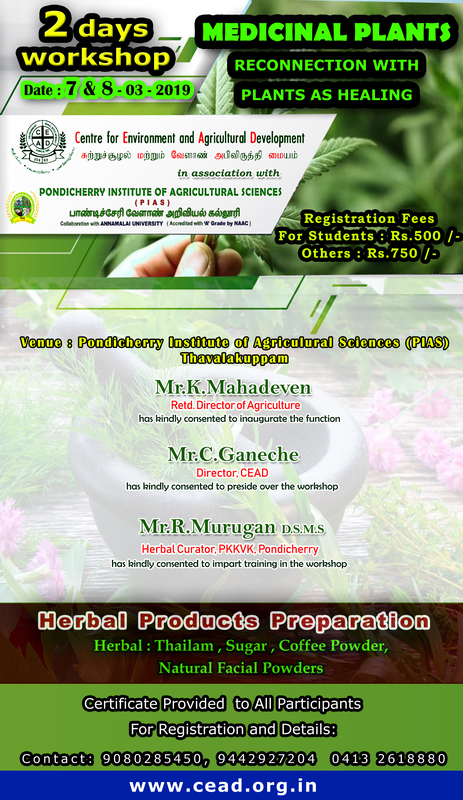 Participants will learn ethical and proper plant harvesting techniques, and go home with a healing salve as well as a medicinal tincture using natural, organic materials such as.. Discussion of the tradition, Indigenous Sacred Plant Medicine and Plant Spirit Medicine as pathways to discover your own relationship with plants and their medicine to support healing and overall well being. Plant walk- roof top herbs model. Herbal products preparation eg. Herabl thailam,Herbal sugar, coffer powder, Natural facial powders etc.